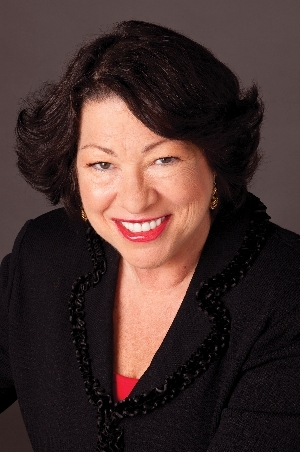 Wed, September 5, 2018 6:00 P.M.
Sonia Sotomayor is the first Hispanic Justice of the United States Supreme Court whose extraordinary determination and drive led her from a Bronx housing project childhood to a post on the most esteemed bench in the United States. During her three decades of distinguished service on the bench, she has worked on every level of the judicial system. In the picture book Turning Pages: My Life Story, Justice Sotomayor describes how books informed her childhood and helped her cope with her life’s difficulties. The Beloved World of Sonia Sotomayor is an adaptation for middle graders of her bestselling memoir for adults. Books will be for sale at the library beginning at 4:00 p.m. on event day. In order to join the signing line you must have a copy of either Turning Pages, Pasando Páginas, or The Beloved World of Sonia Sotomayor. The Justice will sign one book per person. No photographs, memorabilia or recordings are permitted at the event or in the line.